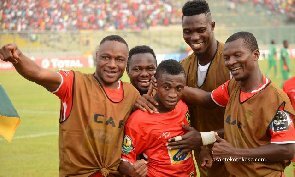 Ghana Premier League side Wa All Stars have pulled out of the Special Competition set to kick starts next weekend, GHANAsoccernet.com can exclusively report. The 2016 Premier League champions joins Medeama, who are unwilling to participate in the three-month competition. The Wa-based side are yet to assemble their players since the Anas exposé which led to the global ban of former Ghana FA boss and owner Kwesi Nyantakyi. Top officials of the club have told Ghana’s leading football website, GHANAsoccernet.com that an official communication will be sent to the FA on Monday. They have thus pulled the plugs on their involvement in a competition which has bee dogged with so several controversies.